I bought Pseudotooth not so much because I was interested in this specific book as because I was curious about its publisher. I might look into their other books because this was a good buy; Pseudotooth is one of the better books I’ve read this year. It’s a portal fantasy of a sort, but weird fiction, not epic fantasy–if I had to play the game of comparisons to more famous novels, I’d say there’s some Shirley Jackson and China Miéville here. Pseudotooth had me from its first sentence. It’s one of those that in a few words tell a lot about the novel to follow: “And of course, the weather turned Dickensian.” That immediate “and of course” tells us we’re in the middle of something, and it’s gone on long enough to grow tiresome, and now on top of it we have this weather and it is the last straw. The word “Dickensian” evokes Dickens’s association (fair or not) with pathetic-fallacy weather, of the Bleak House variety. Longer-term, it prepares us for a story filled with characters who’ve lost or been rejected by parents, and an other-world Dickensian in its technological level and general aesthetic. The novel that follows is gorgeously written. Take the second sentence, with its Dickensian weather: “The East Anglian horizon was crowded with low, goitrous clouds, ballooning out like new bruises,” which at once freshly visualizes a particular type of cloud and resonates with a specific emotional feel. The real literary influence here isn’t Dickens but William Blake, who’s quoted throughout the novel. Blake is the favorite poet of Pseudotooth’s protagonist, Aisling Selkirk, who turns to his poems in times of stress, of which she’s having a lot. In the wake of a traumatic experience with her mother’s latest boyfriend, Aisling has been suffering from pseudoseizures–seizures with no neurological cause–alongside the occasional blackout or hallucination. Aisling is a few months away from legal adulthood but is treated like an inconvenient child; as an alternative to an institution her mother sends her into the countryside and the care of a sneering aunt. There Aisling spends her time writing fiction in her journal about Feodor, the delinquent son of a Russian immigrant, and exploring her aunt’s old vicarage. There’s little to read except Within Reason: Treatment and Protection of the Defective Classes, a mouldering eugenics manual made especially awful by the pathetic marginal notes (“Whitewash is extremely moral”) of someone who judged himself “defective” and was desperate to cast out, like a rotten tooth, whatever “degeneracy” caused his illness. The other world reveals itself slowly; not so much magical as ghostly, or perhaps–appropriately for a novel so preoccupied with Blake–visionary. There’s a gradual bleeding-over of the other world instead of a crossing-into. It starts with apparitions: a young man in the garden, an older, balder one on the stairs. When Aisling eventually wakes up to a deserted house she assumes she’s broken with reality altogether; outside is a nameless place ruled by “Our Friend” according to the precepts in the manual–whitewash the walls, cultivate “inner cleanness,” disappear the “defectives.” Aisling is taken in by an ad-hoc family of outcasts, and meets Feodor in the flesh, and uncovers the connected histories of Feodor and Our Friend and her aunt’s vicarage. What Aisling doesn’t do is what a by-the-numbers portal fantasy might expect her to do: get involved in a revolution. Portal fantasy heroes aren’t “chosen ones” as often as the subgenre’s stereotype might lead you to believe, but it’s true they are with numbing regularity caught up in Big Events. It’s the default template, which sometimes obscures the fact that it isn’t an essential characteristic. (I would read the hell out of a portal fantasy set in Dungeons & Dragons land that was simply about finding a job and an apartment in a world where Adventurer is a career option and your roommate could be a Beholder.) Feodor, once he learned about Our Friend, thought he could be a hero; instead he caused a disaster. He warns Aisling off: “Look, I know what it’s like to think you’re the molten centre of the universe, but there’s history here, and people moulded by it.” (Another example of good writing, typical of Pseudotooth: you’d expect just “center of the universe,” but Holloway sidesteps the cliché by adding molten, segueing into the “moulded by” image.) Aisling still isn’t sure the other world isn’t in her head. Feodor thinks that will lead to her repeating his mistakes. The other world doesn’t revolve around Aisling, it’s more than a backdrop for her story; that’s a sign of its reality. Although the status quo shifts, Aisling isn’t an instigator but a witness. Her story isn’t about changing the world, it’s about understanding her own life. 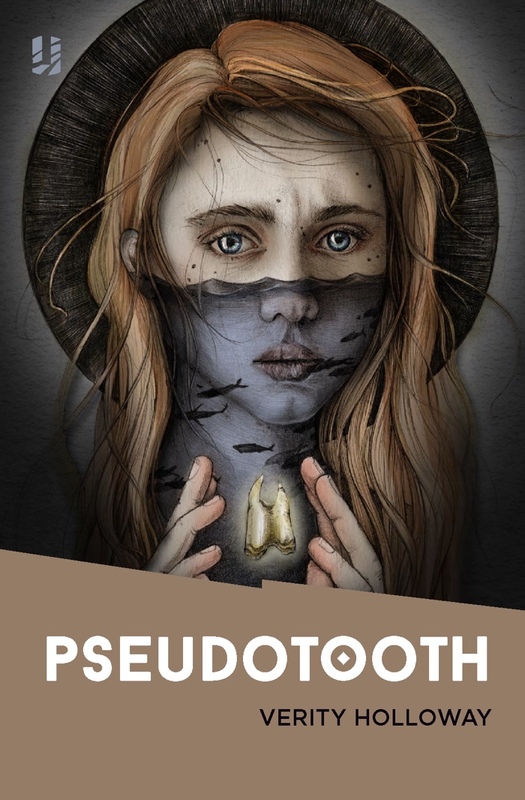 A book review feels incomplete without some kind of thematic summing-up, so I’ll say Pseudotooth is less about mental or psychosomatic illnesses than about how people define and categorize the people who have them. Aisling’s mother thinks she’s weak, or faking it. Aisling’s aunt thinks she’s morally deficient. The head of the family who adopt Aisling thinks she needs to be protected from the world; Our Friend would lock Aisling away to protect the world from her. Within Reason’s annotator suffered from psychosomatic illnesses and believed everything his book told him about himself. Aisling’s story is about coming to understand she doesn’t have to accept any definitions. Her pseudoseizures aren’t part of her identity; they may affect her but don’t define her, and whether or not she gets over them she can still move forward with her life. The main reason to recommend Pseudotooth is the writing, which is, as I said, great. (It’s coming from distinctly literary direction, without the TV or Hollywood or Video Game influences I detect in a lot of modern SF; that’s something I look for and appreciate.) As a small press release with no unusually vast or unrelenting marketing push behind it, it’s a book I’m afraid might slip under the radar of fantasy fans. That would be too bad–it deserves some attention.